Casa da Avó Genoveva (House of Grandma Genoveva), dating from the late seventeenth century, follows the tradition of old houses of Ribatejo (the fertile plains in the centre of Portugal). 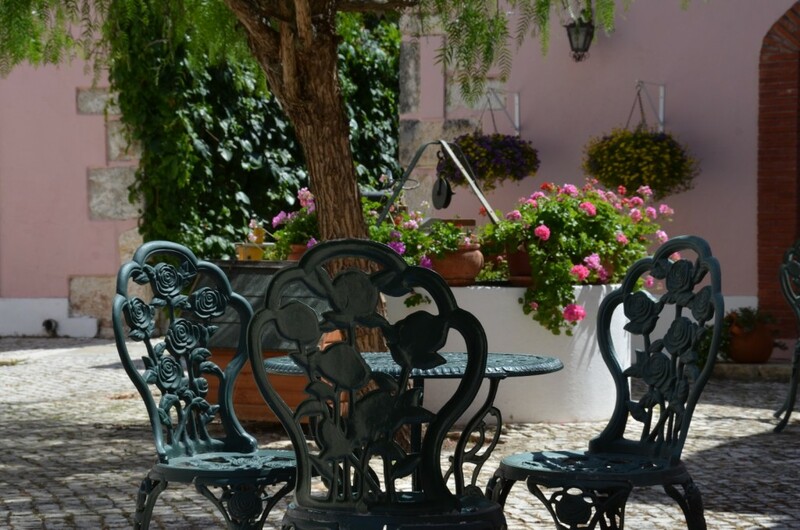 The pink and white facades; the stone frames on doors and windows, the old barn and the winery – now converted into spacious apartments, the threshing floor used for agricultural work that is now part of the garden … everywhere you look, there are snippets of a typical Portuguese way of life we like to preserve. Located in a small village near Tomar, the Casa da Avó Genoveva is the ideal place to rest, away from the sounds and the busy life of big cities. Its large gardens, where you can go cycling or for a walk; the swimming pool, where you can cool down and enjoy a stretch of swimming; and the pool table and various other games are all available to our guests, so you can make the most of your stay. 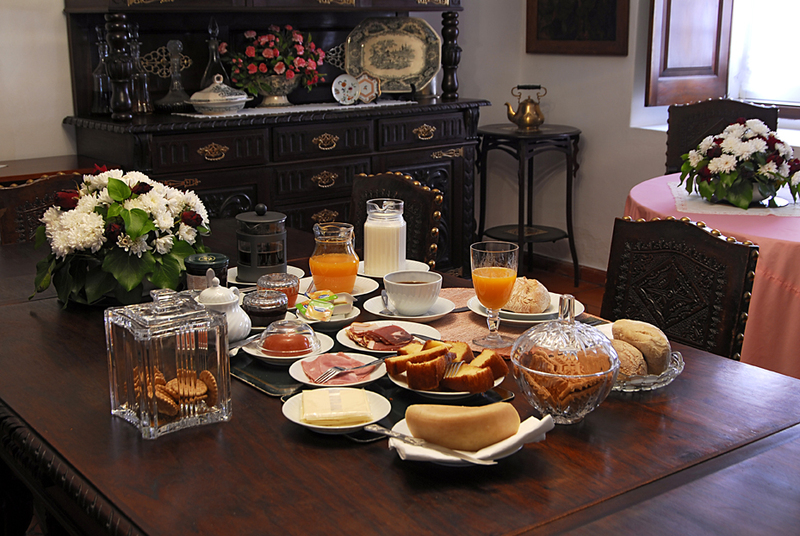 At Casa da Avó Genoveva breakfast is prepared with special attention. In the morning, our guests will find a wide variety of products, some typically regional. Others, such as marmalades, jams and cakes are homemade, using fruits grown in the house’s orchards and following the centuries old family recipes.